I take pride in my ability to think tactically; to recognize patterns and quickly analyze situations. When it comes to Destiny, I’ve put my abilities to good use. 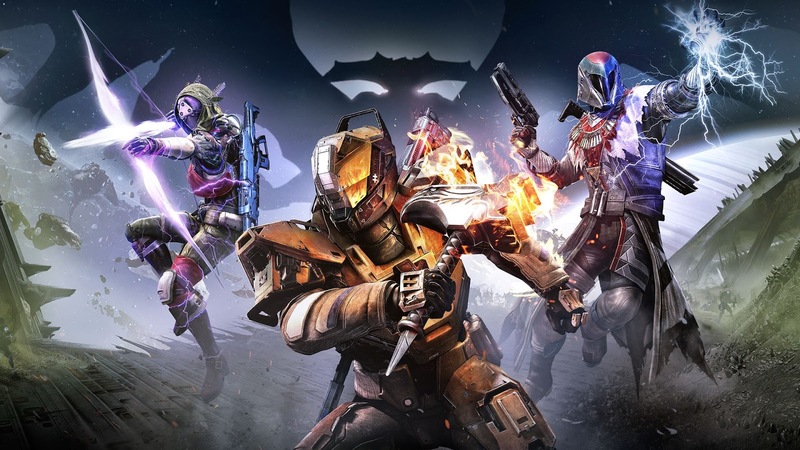 Since the game’s launch, I’ve accumulated more than 32 days of time in game, walking numerous players through the raids and strikes, ferreting out secrets and dissecting the game’s most difficult encounters. I’ve also managed to lay hands on some of the game’s more elusive weapons and feel confident predicting their optimal use. 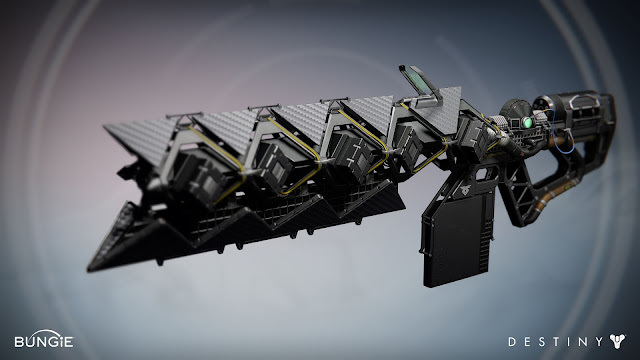 That being said, Destiny's Sleeper Simulant -the ultra-secret-except-not-really weapon that became available to players around the globe recently- managed to surprise me. Initially, I was thoroughly unimpressed. It's a fusion rifle that sits in the heavy weapon slot, taking the place of really amazing weapons like the Year 2 rocket launchers, machine guns, and swords. It has a ricochet ability that sounds cool but is more flash than substance (if you were thinking you'd get the cool Hard Light level of bouncing death, you'll be sadly disappointed). The single projectile beam it fires is so narrow that unless your enemies line up in very neat and orderly fashion, it's unlikely you'll ever kill more than one enemy per shot except by accident. Combined with a painfully small supply of ammo (3 in the magazine, 4 in reserve, and it is not modified by armors that normally allow you to carry more fusion rifle ammo), and this gun seemed like a real stinker. The thing was, I had to reorient my expectations a bit. Bungie had their former "BFG" equivalent, the Gjallarhorn, nerfed and didn't it bring it forward as Year 2 level content specifically because they were trying to rebalance the game, but the Gjallahorn's intended purpose was always to nuke bosses. It just happened to be good at all the other things you needed, like clearing out multiple mobs in PVE or entire fireteams in PVP, as well. So assuming that they were rebalancing and this good could only be good at one of those things, I figured it pretty much had to be dropping bosses. I was right. This bad boy nukes bosses with vulnerable critical hit areas like nobody's business. I just kind of chuckle about the Shield Brothers or Valus Tau'arc when they come up in the random strike list because I know they’ll likely be the least scary thing in the fight. At 305 light level, I'm putting out somewhere in the realm of 22k a hit, well above the 6k per swing I'm getting off my sword or 16k I'm dealing with my Truth rocket launcher. I figure this gun may not be for everyone given that it requires a bit of a trained hand to use in most situations, but it's part of my regular load out now. Another exotic that's part of my standard carried equipment is the Touch of Malice. ToM isn't exactly a surprise, or super secret, but it is very hard to get. Amongst other things, you have to beat the King's Fall raid, collect 45 of the 50 hidden Calcified Fragments scattered about the new Dreadnaught patrol environment (several of which are found in specific story missions, the raid, specific strikes, or dropped from rotating bosses who once every three weeks or so), and beat a 300 light story mission that includes burning ceilings and poison-soaked floors. The prize for it all is a full auto scout rifle with great stats and an ammo perk that causes the last round of the magazine to deal double damage at the cost of some of your health. That last round will not deplete until you manually reload, effectively giving you unlimited ammunition. While this is more of an expert weapon in most environments, requiring you to pay close attention, it is phenomenal in the final two fights of the King's Fall raid, where the "invincibility" bubbles allow you to fire out double damage unlimited rounds to your heart's content. This was the first exotic weapon I'd used since I received the exotic swords that I thought could actually see a place for in more than just a few situations. 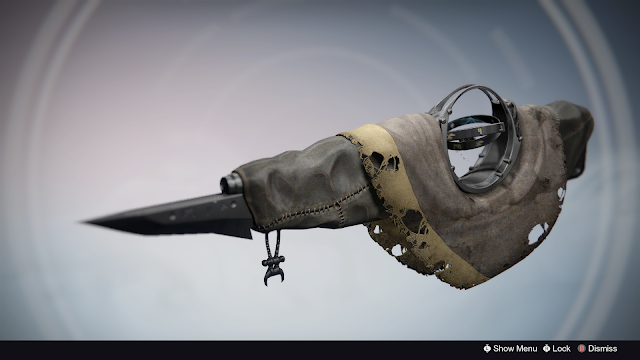 The last big Destiny gun I want to talk about is the Black Spindle. Available only when the "Lost to Light" story mission appears in the daily rotation, it requires you to clear Taken out of the Fallen ketch from the Taniks strike within a 10 minute timeframe. A balanced fireteam who are all 290 light or better can actually handle this pretty easily. My recommended fireteam make-up would be an Arc Warlock, a Void Hunter, and either a Void Titan with a fully upgraded exotic sword or a Solar Titan with maxed Intelligence who can go all hammer time at least 3 times during the final fight. To the point though, this gun is literally just a Year 2 version of the Crota's End legendary weapon, Black Hammer (and not the fun pre-nerf version with unlimited ammo). 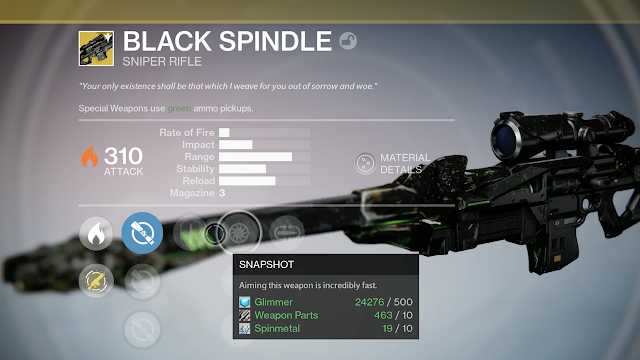 In addition to being the highest impact sniper rifle I've seen in the game so far, Black Spindle will automatically reload ammo from the reserve whenever all 3 of the rounds in the clip make precision shots. Black Spindle’s sun has faded quickly for me. Sleeper Simulant is a better choice for nuking bosses, and against enemies like Crota's Daughters, for whom Black Spindle used to be my primary choice, Touch of Malice is much more useful. Black Spindle is no longer even in my main character's inventory, and is now used in PVP by my Hunter when I need a break from Ace of Spades. C’est la vie.